At Springfield Pressings, we are able to produce a variety of roof access ladders, CAT ladders and more, to your specifications. Visit us online. It takes years of practice and intense concentration to master the art of painting, or if you’re a welding robot, just some really good programming. In a studio at the University of Konztanz in Germany just such a robot is dabbing its brush in paint as it works. The robot is called e-David, and it can reproduce any work of art it’s shown. Read more at - http://www.geek.com/news/re-purposed-welding-robot-can-forge-any-painting-its-shown-1567299/. At Springfield Pressings, we can offer expert aluminium welding services at cost-effective prices to suit your needs. Visit us online. Coventry-based Covpress International Holdings has been snapped up by a major Chinese automotive components supplier in a multimillion-pound deal. The precision metal pressings maker, which employs 440 staff in the Canley district of the city and has a history dating back more than 120 years, is eyeing turnover of £90m within the next few years. Though largely focused on the automotive market, Covpress also supplies other products such as satellite dishes and gas meter assemblies. At Springfield Pressings, we produce precision metal pressings to your specifications. Visit us online. Here at Springfield, we provide a comprehensive range of metal fabrication facilities and our welders are highly skilled in MIG, TIG, ARC, gas welding and much more. We have everything you need under one roof to manufacture the sheet metal products you require. Also, our continued investment in modern sheet metal working equipment and the most up to date software, allows us to offer you competitive prices and a fast turnaround for custom items and series production. If you would like to find out more about our steel fabrication services, visit our website or give us a call on 0116 2769953. 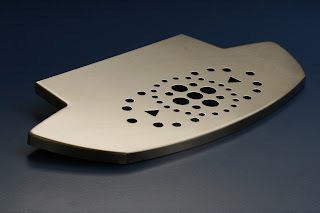 We are specialists in precision sheet metal and we use some of the latest technology and machinery to produce quality precision sheet metal parts and components. The majority of our precision sheet metal parts and components are manufactured from mild steel, spring steel and other non-ferrous metals however other materials can be used if required. For further information visit our website. 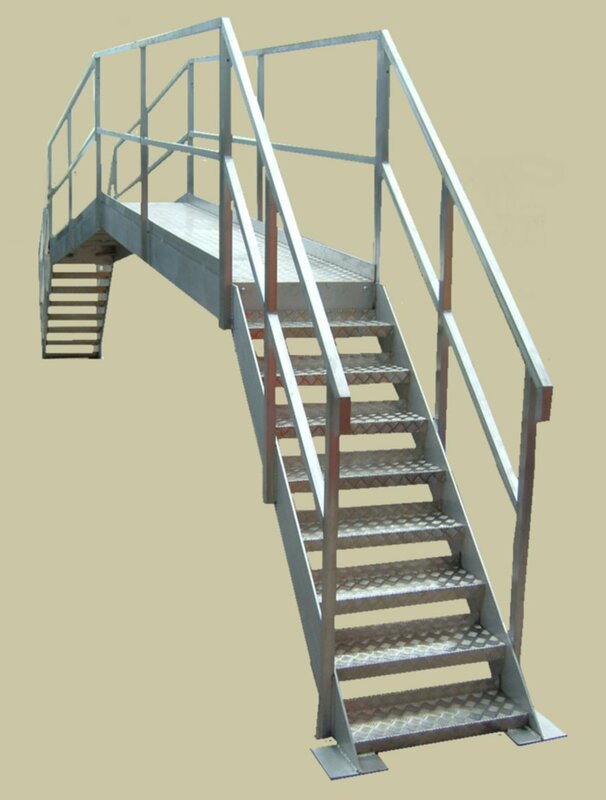 Platform ladders are widely used in factories and industrial setting where high areas need to be regularly accessed. There are a number of benefits that a business can get from using platform ladders. 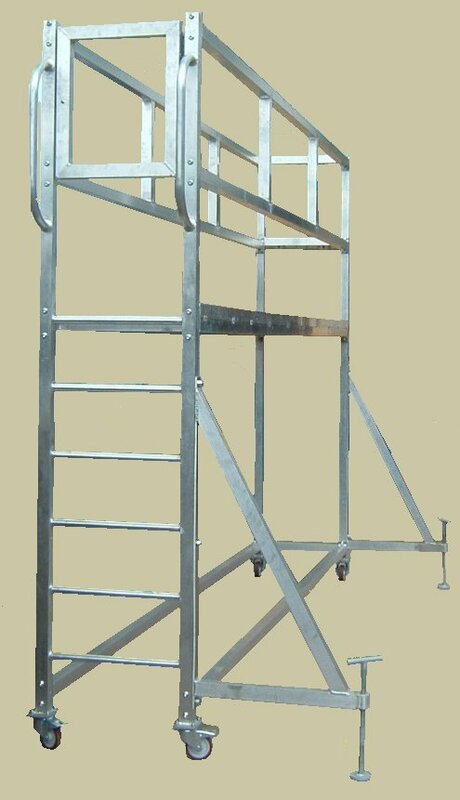 One of the main benefits of them is that the platform at the top of the ladder allows you to have a better balance and therefore they are safer than ordinary ladders. The platform ladders that we produce at Springfield Pressings can be custom made to suit you. Visit us online for more details. Here at Springfield Pressing we are experts in CAT ladder design and we are able to create bespoke CAT ladders to meet your individual factory requirements. 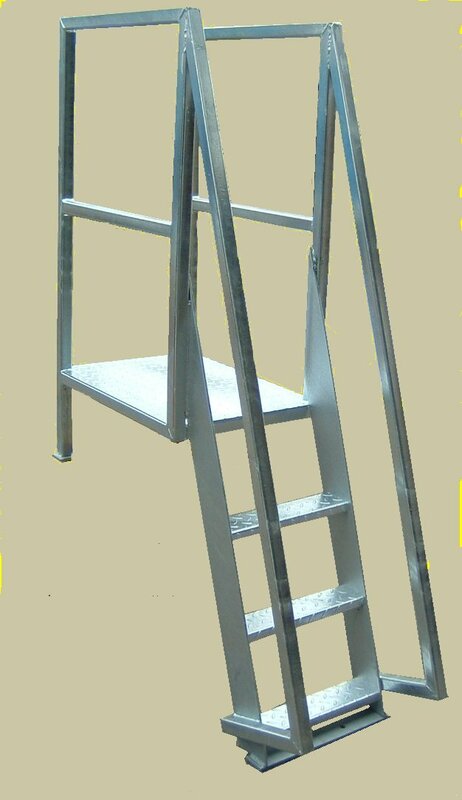 Our CAT ladders are generally manufactured from aluminium and we can produce them with or without platforms. The CAT ladders we supply are available as a flat pack so that they can easily be assembled at your site. Have a look at some of the images below to see the types of CAT ladders we design and visit us online for more information. 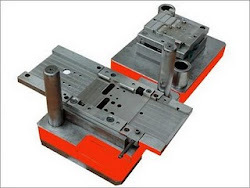 If you are looking for a company that can provide you with high quality metal presswork time and time again, then look no further. 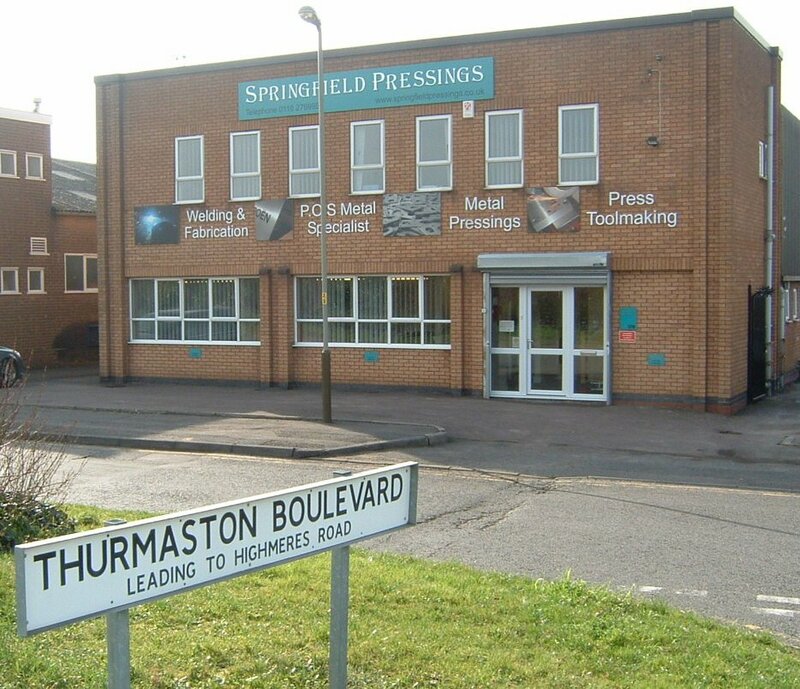 At Springfield Pressings we have an experienced team of press setters that have the ability to manufacture the metal pressings you require by using our comprehensive plant list. If you have any queries regarding our metal pressing services then please contact us on 0116 276 9953 or visit us online. If you are looking for steel fabrication services in Leicester and a company that can provide you with metal fabrications, metal assemblies, metal pressings and much more, then call us at Springfield Pressings. We are an ISO 9001:2000 certified steel fabricator so you can count on us to consistently deliver quality parts and fabrications to you on time and at competitive prices. Contact our sales team today on sales@springfieldpressings.co.uk or visit our website for more information. Aluminium welding can be done in many different ways and by using a variety of techniques. Two of the most popular ways is by using TIG or MIG welding methods. At Springfield Pressings our highly skilled welders are experienced in both of these methods and more. If you want to find out more about the aluminium welding services we can provide visit us online or contact us on 0116 276 9953. 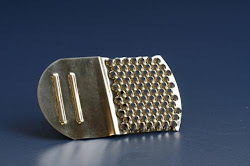 Sheet metal stamping is another term for metal pressing and it includes a variety of sheet metal forming processes. Some of the processes that we use include punching, embossing, bending and much more. At Springfield Pressings our facilities and expertise in metal fabrication enable us to provide a quality service to match your requests. Visit us online for further details. Roof access ladders are used in many factories in the UK and their main purpose is for accessing roofs safely. At Springfield Pressings we are experts in steel fabrication and we are able to design and manufacture quality roof access ladders, platform ladders and more to suit the needs of your factory. All of our access ladders are available as a flat pack so that they can be transported easily and installed at your site. Visit us online for more details. We have recently acquired some additional equipment from BMR Presswork Ltd. This company was based in Derby and they have unfortunately closed due to retirement. The equipment we bought from BMR Presswork was another press machine as well as some other machinery, allowing us to expand our capabilities even further. For those that have done business with BMR Presswork, please feel free to contact us on 0116 276 9953. To find out more about our services visit us online. At Springfield Pressings we can design and manufacture bespoke CAT ladders and platform ladders. watch the video below to find out more. At Springfield Pressings we are expert steel fabricators and we can provide aluminium welding and more. Watch the video below for more information. In a clear indication of rising demand from the regional steel fabrication and metal working industry, a slew of new machinery, equipment and technology is set to make their debut in the region for the first time. 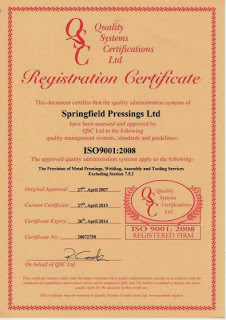 At Springfield Pressings we are experienced in sheet metal stamping and metal pressing. Visit us online for further information.